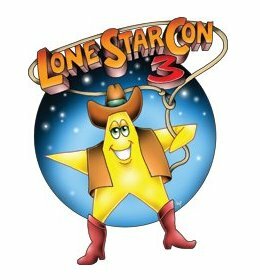 LoneStarCon3, the 71st World Science Fiction Convention held August 29-September 2, 2013 in San Antonio, Texas. The Masquerade disc contains all of the presentations, including the young fans, as well as the awards and the two half time shows: Music with Leslie Fish and The Magic of Drew Heyen for over two hours of content. The presentations and the awards have been edited to add more views, stills, and complete credits for each costume. The Blu-Ray version is NTSC 720p High Definition as recorded on-site. The DVD version is a down convert to standard definition. Combo Packs include the DVD and the Blu-Ray copy. Note: you can save on shipping costs by making a combination order of Hugos and Masquerades to save on shipping charges.